Currently, the GCC nations, the oil capital of the world, are at the cusp of major economic, social and political changes. It is vital to understand the changing landscape of the market. 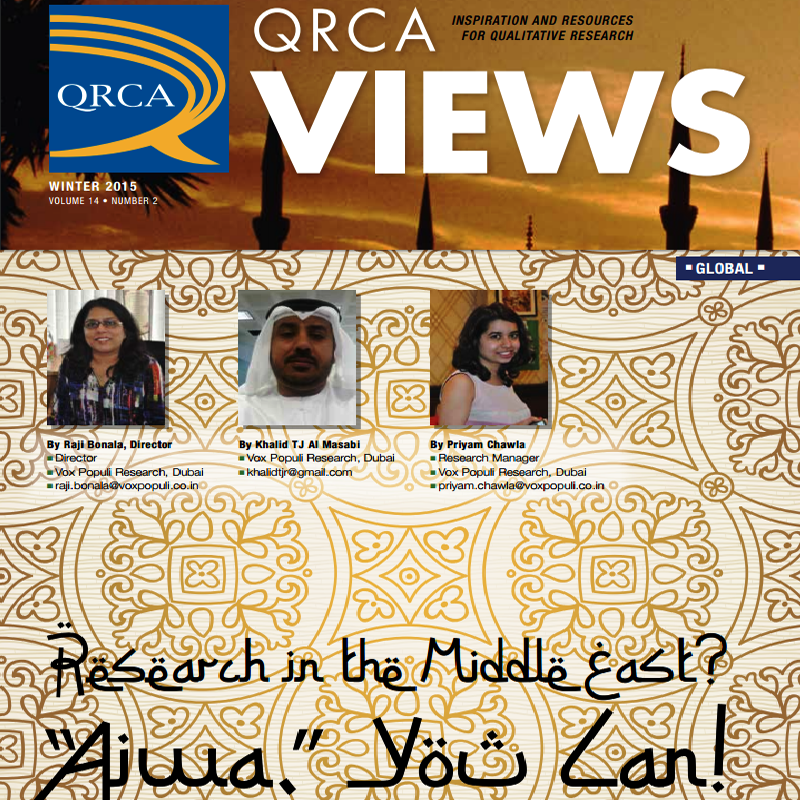 In this article, we aim to familiarize researchers with this market, specifically key challenges when conducting research in KSA and UAE. These two nations have considerable differences in terms of their cultures, ease of mobility, and business practices. Knowing these nuances can facilitate smooth functioning of the research process, thereby allowing researchers to uncover rich insights about the consumers. You can read the whole article here (just jump to page 13).